My feelings are all over the place as I’m writing this. To be honest, they’re always all over the place, But that’s not the point. The point is, the mental health community – sufferers and professionals – send you peace, love and light. There were pictures that made me envy her body, with her stomach seemingly flat, hips peaking through your body. I thought that was the ideal body at the time, but that thought slowly faded away. I felt like I could see right through her: she needed help. I couldn’t put my hand on what she needed help for exactly, but I knew she needed help. I remember the day I found out she went into treatment: it had been on the headlines that she had hit one of her backup dancers. Her treatment was for bulimia, bipolar and addiction. It took me a while, but that helped me come to terms with my own inner demons. That was the moment I realised I needed help. But I never sought it at that time. 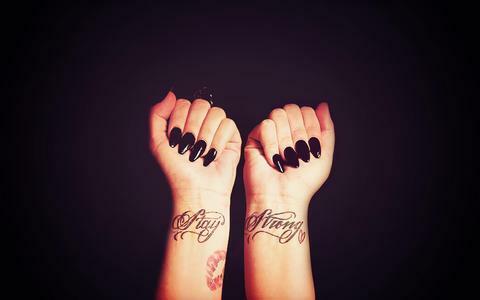 When I saw her ‘Stay Strong’ tattoo with the heart next to it, I knew oneday I’d get a similar tattoo; a constant reminder to myself to keep going no matter what. If you managed, then I would right? I found out about what happened in an article before I went to bed and I was distraguht. I was silent. I cried a lot. I knew she was struggling, but I didn’t know it was to that extent. Sh_t… it was very, very VERY bad. The whole song played like a broken record in my head. What matters right now, other than me constantly praying that she’ll be okay, is to keep strong myself. Becuase if she slipped, then I could too. I posted on my Instagram for people to keep strong, whether affected by your news or not. I realsied that people wouldn’t want to follow in her fotsteps. It really is tempting to relapse when you see someone else do it. I cried again when I read you were awake and responsive. They were tears of joy and relief. I hope it really is the case. Us Lovatics hope you’re here to stay. You’re such an exceptional mental health advocate. You inspired me to create this blog to spread awareness with hopes to break the stigma. Take some time for yourself. Surround yourself with professionals that can help you, and your family. I don’t expect you to be perfect, you’re only human, as you said in the song.